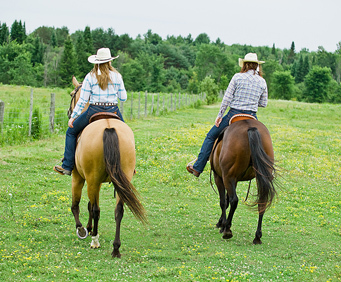 Horseback Trail Rides of Branson, Missouri, is an exciting adventure for the whole family to enjoy through some of the most beautiful, lush areas in the Ozark Mountains. For those who love the great outdoors, this activity allows you to get up close and personal with the wilderness. The Shepherd of the Hills features a trail ride through history. This 30 minute ride is on the same horses used in the action packed drama. The Shepherd of the Hills runs through the historic homestead on some of the same trails the Baldknobbers rode along. 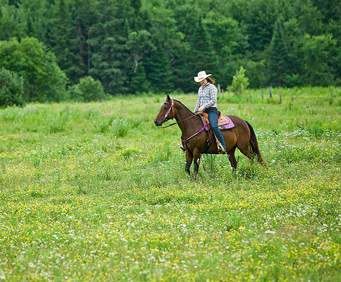 You will see the majestic Ozark hills, the Trail Nobody Knows How Old, ride down in the holler and the shade of the woods on a real show horse. Riders must be 48' tall and weigh no more than 250 pounds and only ages 6 and up. Single riders only. You can ride along through the rustic acres of the Ozarks on old, shade covered trails, many of which date back as far as the 1800's. 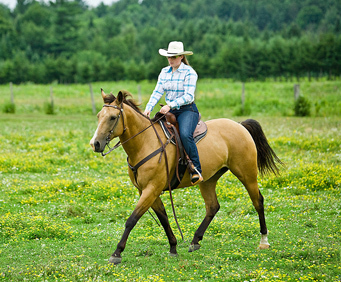 Branson is the perfect vacation destination and features horseback trail riding with spectacular views and well known sites of the surrounding area. Be sure and wear closed toed shoes, as sandals or flip-flops are not allowed.